I am super excited for prom - the school dance for upperclassmen in American high schools. Our prom is April 29th. 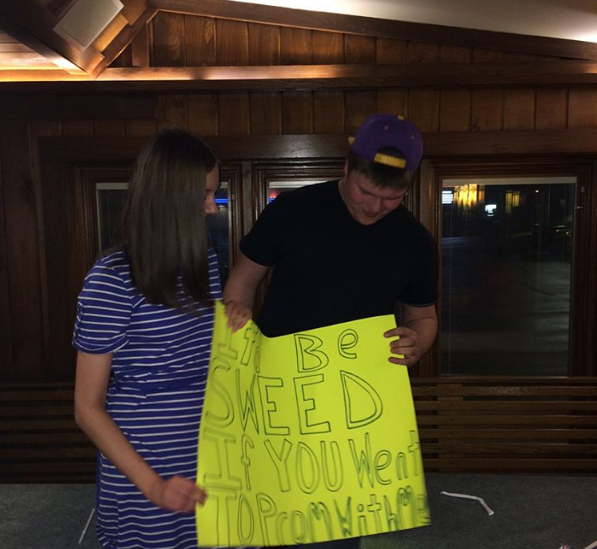 My friend Luke asked me to prom on March 20. 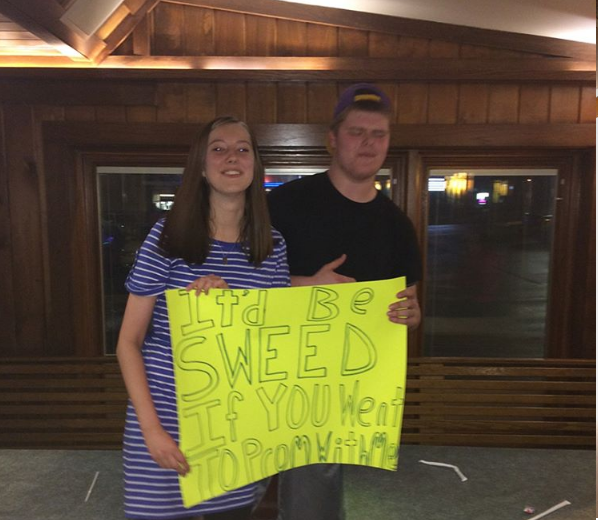 We were both at Cakpus Life and after at Pizza Hut he came in with a poster saying "It would be sweed to go to prom with you" (sweed = Sweden + sweet in case you did not get the pun). 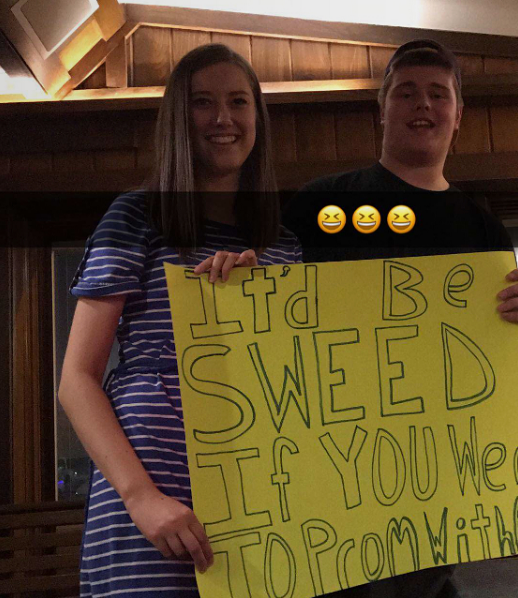 This is known as a "promposal" here in the states. I am so happy and excited! I bought my dress from Promgirl.com for $189. I will give you the reveal on the day of prom. I am also getting my hair and makeup done professionally.